Do you have to stay over in the fast growing Giyani? Do you want to stay in comfort when you visit the Limpopo Province? Then Mopani Guest House is the place. This beautifully appointed guesthouse has a 3 star TGCSA rating as well as a Highly Recommended rating from the AA Travel Guide Quality Assured Programme. 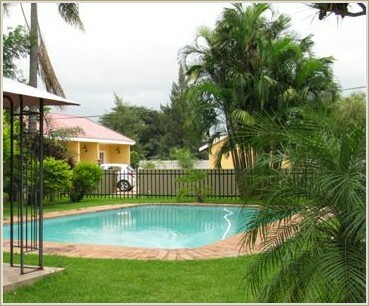 Mopani Guest House is plus minus 3 km from the Giyani business centre and is situated at 180 Impala Avenue in Kremetart suburb, on the R81 road to the Punda Maria gate of the Kruger National Park and plus minus 45km from Baleni, one of the famous sites on the Ivory Route. The business person, the traveller, the company representative or the explorer of our scenic province will all enjoy our hospitality!